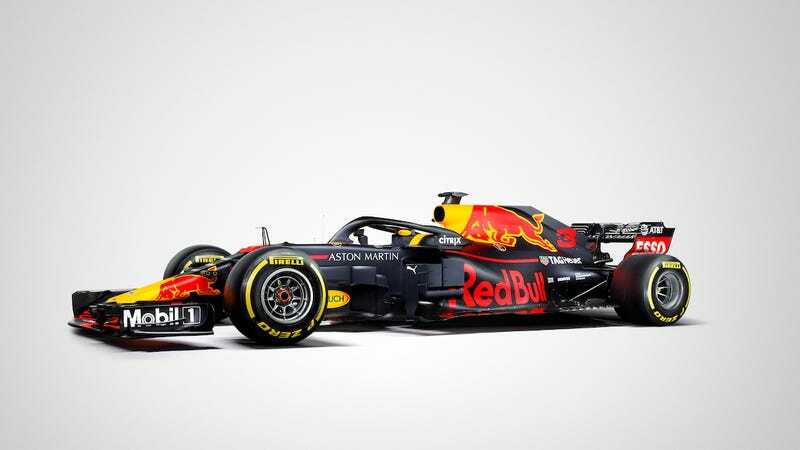 Here’s the Red Bull Formula One paint scheme for 2018, which looks a lot like the Red Bull F1 paint scheme for the past few years but with a big ol’ halo on top of it. It unfortunately won’t run that cool blue camo scheme we saw last week all year, but at least it won’t get a Honda engine like its development team. Also, is it a sleepy Monday morning or does that front tire in the top photo look like a blow-up boxing glove for kids?